How do I install the LTI test page for Brightspace? 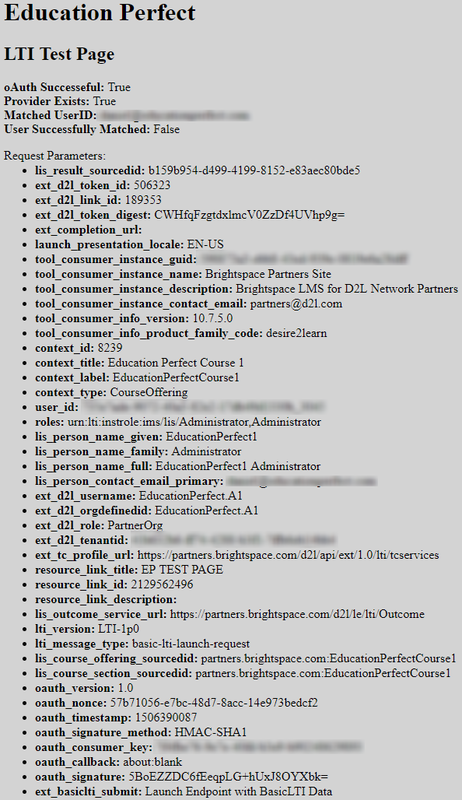 Installing the Education Perfect test page makes it easy to see the key information needed to set up an LTI integration with Brightspace. Once the integration process is complete, you can delete this page. 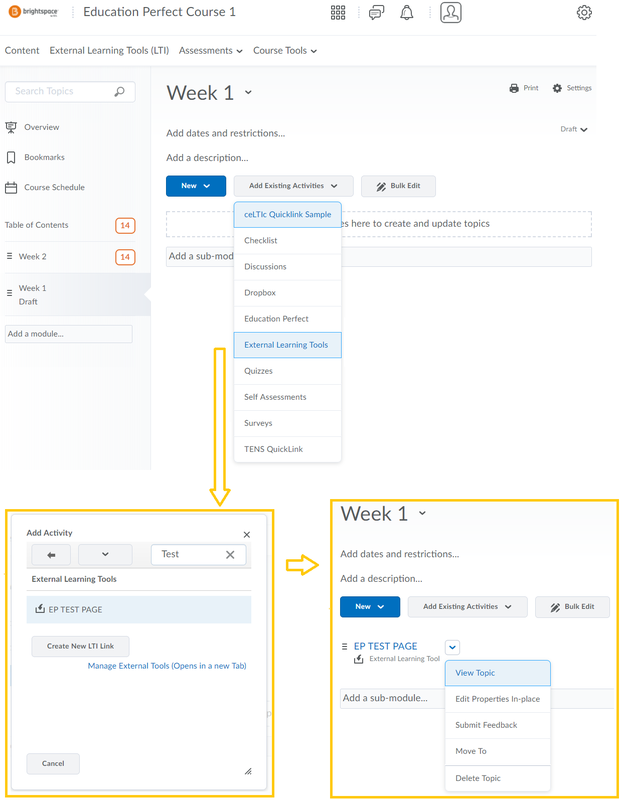 Click External Learning Tools (LTI), then select Manage External Learning Tool Links and click New Link. Title: "EP LTI Test Page"
Add the link to a module, then click View Topic. Copy and paste the results of the test page into an email to support@educationperfect.com. Delete the link, or make it invisible, to avoid confusing other people accessing Brightspace.